As I mentioned in a recent post, I have found a beauty box actually worth the subscription, Cohorted*. I was lucky enough to receive my second box this month, which you can buy here. I received four full sized products and a travel sized product. The travel sized product could have been one of three, so it was a lucky dip. 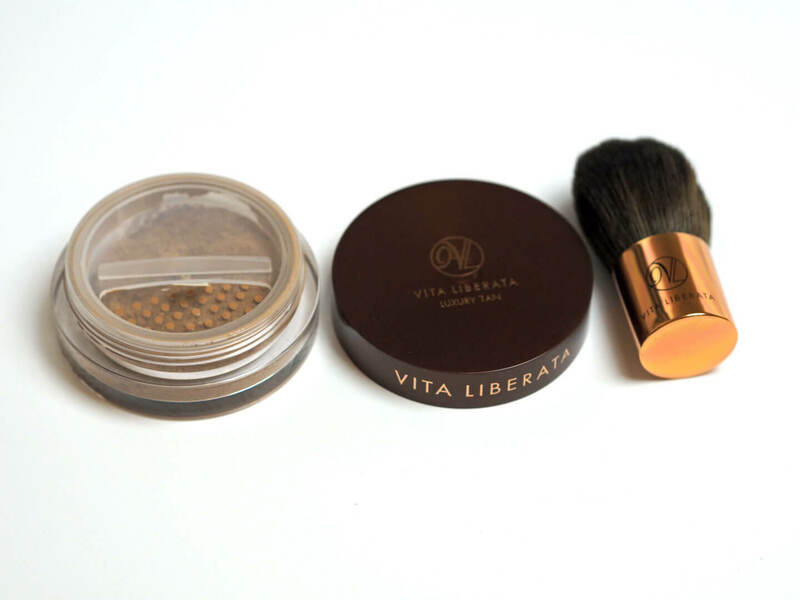 I’m very intrigued about the Vita Liberta Minerals product as it is meant to give you the same coverage as mineral foundation, as well as acting as a self-tanner in one. I’ve used Vita Liberta tanning products for a long time and highly recommend the self tan lotions, so I’m very much looking forward to trying this. I particularly like the brush that comes with it, as normally you don’t receive a brush and I worry that I won’t achieve the correct application. I shall be trying my regular body tan and use this on my face to report back. I never wear red lipstick. I’ve tried red gloss and I just can’t deal with the maintenance it requires. This is actually the first red lipstick I’ve ever owned, shocking, I know! 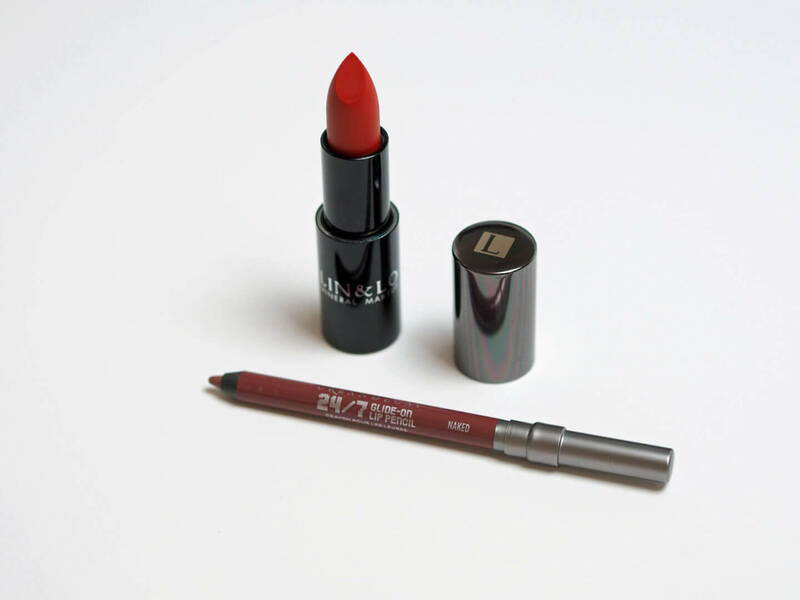 The lipstick is described as a matte that will not dry out your lips, however, it is recommended that you use the Lin & Lo lip balm before application, which on first impressions, does make me question how non-drying it will actually be. As I now have access to a red lipstick, I shall certainly be giving it a try. I know I’ll be able to give its moisturising properties a good run for their money as I have terribly dry lips. I definitely prefer the colour choice of this lip pencil to that of the lipstick in the box, and think that the neutral shade will definitely suit more skin tones. The fact that it is travel sized means it will be handy to pop into my handbag on an evening, but given that the other two products in the ‘or’ category were full sized, it did leave me a little disappointed, only in the sense of “this is what you could have had…” if that makes sense? The other products were Nars Monoi Body Oil RRP £44 or Clarins Lip Liner Pencil RRP £17. 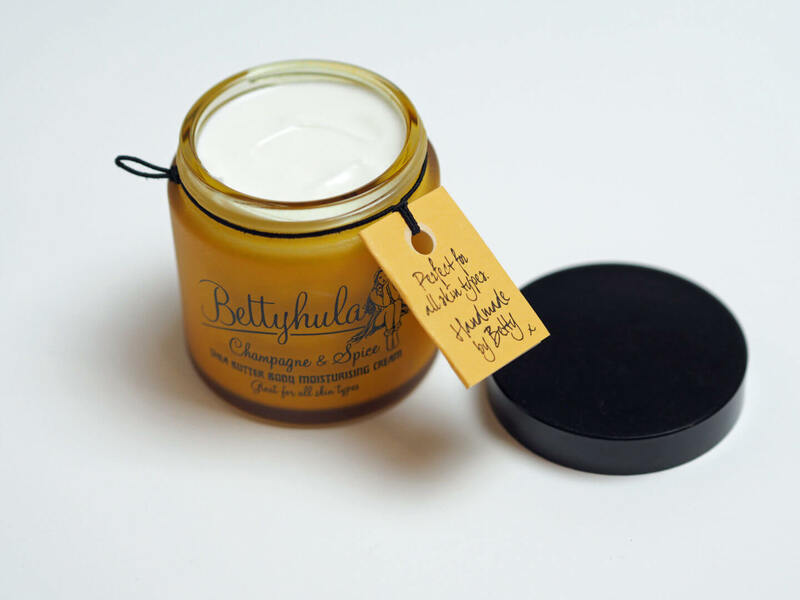 My favourite product of this months box is definitely the Betty Hula moisturiser. It is super thick and luxurious, with a delicious scent. There were two scent options, the other being Rum and Blackcurrant. I’ve tried a little amount of this product on my shins, and a little goes a long way. It was fast absorbing and the scent seems to be long-lasting. I think these moisturisers would make a wonderful gift for someone. 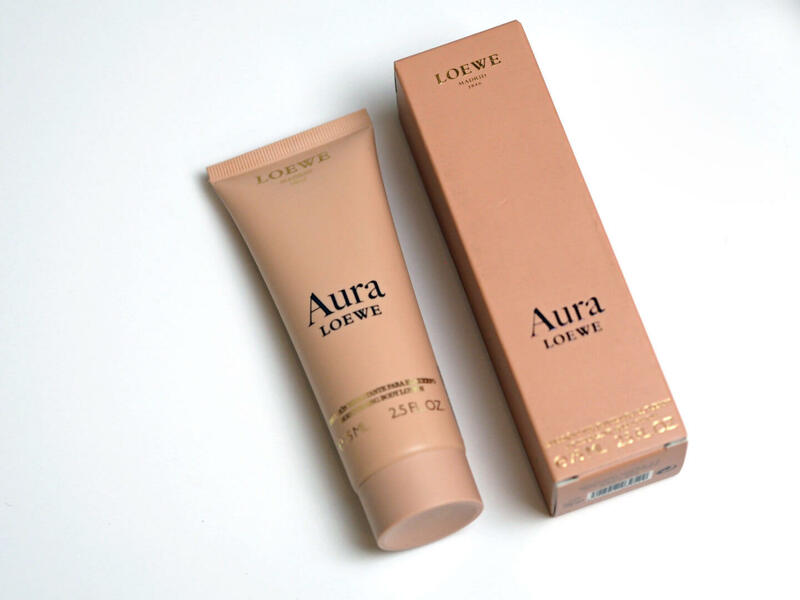 A second body moisturiser was in this months box, this time from Loewe. It is described as being a gently fragrance, but I personally find it quite strong. I feel that this would be overpowering if applied to the entire body, so I will use it either just on my legs or as a hand cream. I didn’t realise that Loewe produced beauty products, so it was definitely a good discovery within the box. The overall value of this box is £91.99, which I think is exceptional for a beauty box. The products are all high end and it definitely feels like a luxurious treat to receive. I did ask how the ‘or’ products are decided, as it was a question that sprung to mind when I saw it, and was advised that it simply depends upon the stock available, not upon your length of subscription. At £35 I really do believe this box is great value for money. Have you tried Cohorted or any of the products in this months box? I was sent this box in exchange for review, as always, all opinions are honest and my own. 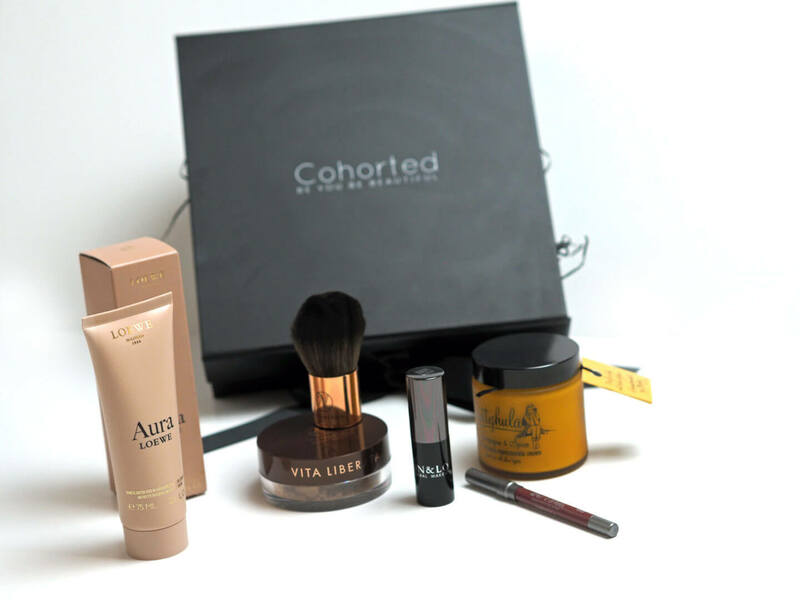 Seems like there are some amazing brands included in the Cohorted boxes, I need to check them out! Thanks Claire, there definitely are! For some reason I thought you always got 5 items. Thanks for your honest review, getting my first box this month. I’d love to know what you thought?